Structural Consultant: Read Jones Christoffersen Ltd. 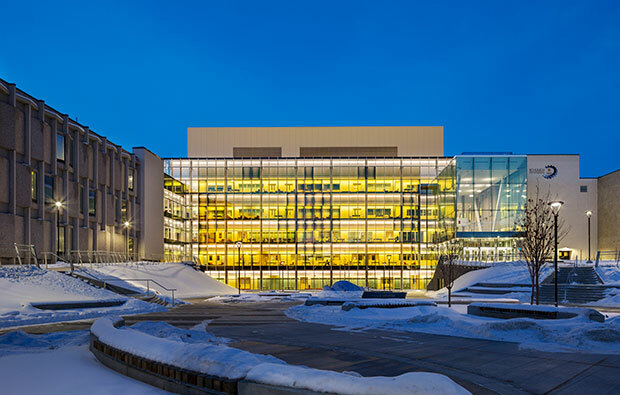 The Canadian Natural Resources Limited Engineering Complex was selected for its clean interiors of varying textures in neutral tones. The highlight was the impact of the bright yellow corridors glowing out into the cold Calgary winter night, which felt as an blend of interior design and urban impact. Good sense of space, colour and calmness. An interesting approach that allows the element of colour to be experienced at different scales within architecture. Colour is placed as an interior finish that consents as a monolithic architectural expression of the building’s identity from the outside and within the community campus. 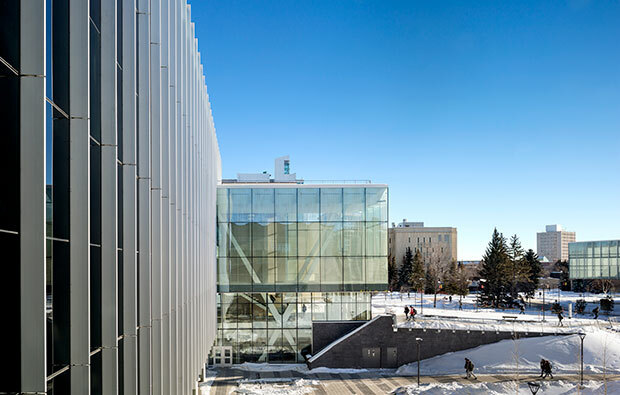 The innovative envelope design and its response to natural light is able to act as a filter and play with the saturation of colour upon the campus at different times of day and seasons. From the inside colour is experienced at a different scale as it is concealed and revealed by movement through the building connecting academic space to the centre social heart. The colour has an offset relationship and kept away from overwhelming this ‘heart’ providing a light and neutral response of material and finish selection defining this student space for comfortable moments of social repose and study. Innovative planning strategies are used responding to how students like to learn. 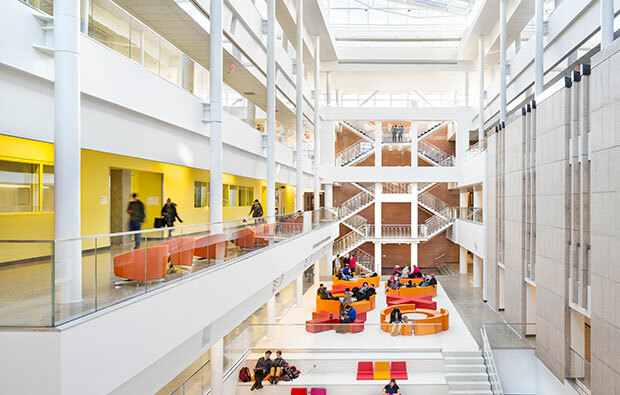 Formal academic spaces are directly connected to the main circulation and the social student ‘heart’ that are constantly connected to natural light and views towards the campus. There is a hidden and respectful detailed edge where new building stitches to the existing campus buildings. A light-filled, colourful intervention that brings organizational clarity to the redevelopment of an Engineering School. 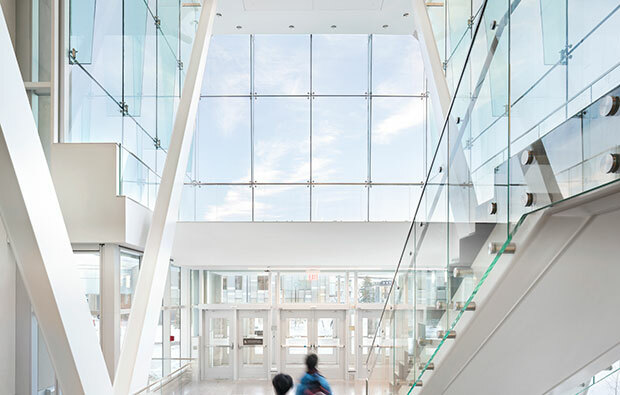 Exposed Structural Steel provides the backdrop to an atrium that reads as an engaging gathering place with a variety of cafe-style seats and cushions on the stairs.